There’s something really satisfying about making something with your own two hands. While it may be faster to pop down the shops and buy something already made, you’re bound to feel proud when you’ve made it yourself. Plus, you get bragging rights! Instructables is a website where DIY enthusiasts of all kinds share step-by-step guides on how you can make just about anything! Some projects require a lot of know-how or advanced tools but there’s still a hearty selection of projects suited to beginners and casual hobbyists. We’ve rounded up 10 DIY projects of varying difficulties that appeal to people of a techier persuasion. There’s no time like the present to give something a go! Have a read through to see if there’s anything that takes your fancy. As the second-best-selling video game of all time, there’s a good chance that you and your loved ones have played or at least heard of Minecraft. One crafty individual has figure out how to make a gorgeous wooden replica of the iconic torch from this game. The finished product gives off a warm glow that makes it the perfect night light for little gamers – or add a touch of ambience to your own den! Like most woodworking projects, this one calls for some serious tools such as a table saw, so you’ll definitely need some adult supervision if the kids are keen to get involved. 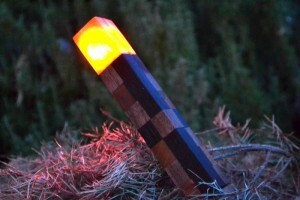 Learn how to make a Real Life Wooden Minecraft Torch. Combine slime and magnets and what do you get? Magnetic slime, of course! This simple project is a step up on the Borax slime craze that’s swept the world over the past few years – by adding iron oxide to the mix, the ooze will seek out any nearby magnets as if it were alive! 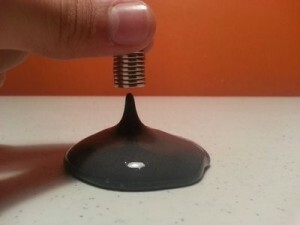 It’s a great way to introduce kids to some simple science experiments involving magnetism. If you can find the right kind of paint, you can even make it glow in the dark! Learn how to make Magnetic Slime. If tinkering with circuits is more your thing, you may be interested in this neat little thermometer which shows the room temperature on a tiny ePaper display. Unlike full-colour displays, an ePaper display is black and white and requires much less power to operate, so your battery charge will stretch further. Once it’s up and running, you’ll never wonder how warm or cool a room is again because the temperature updates every 5 seconds! 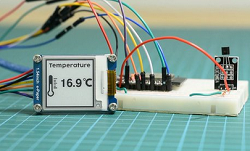 Learn how to make an ePaper Thermometer. Cats hold a special place in geek culture thanks to the popularity of the LOLcats memes. Even if they didn’t, we reckon they’d still be pretty popular anyway – the Australian Veterinary Association estimates that three in ten Aussie households have cats, making them the nation’s second favourite pet. If you’ve ever turned on a tap and your four-legged friend has come running (or perhaps His/Her Majesty has meowed at you to turn the tap on for them!) don’t be alarmed. Most felines prefer drinking running water over still water. You can save on buying a fancy cat fountain with this inexpensive alternative made using some common tools and materials plus a budget-friendly water pump. Learn how to make Flowing Cat Water. Now your pet’s hydrated, what about you? Don’t buy into the hype of sports/energy drinks that are loaded with sugar and lots of other extras. Water is the way to go, but unfortunately most Aussie tap water can taste a bit funny. That doesn’t mean you have to stock up on lots of bottled water from the shops, though – the plastic waste creates a different kind of problem. Instead, knock up this simple but effective water filter and you’ll be sipping clean, crisp water – with more savings in your wallet in the long run, too! 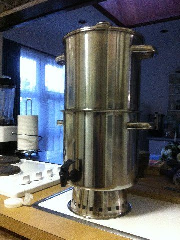 Learn how to make a Household Gravity Water Filter. 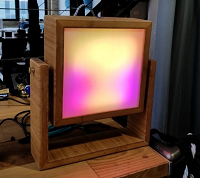 This DIY project combines woodworking and electronics, making it one of the trickiest ones in the list but the results were so cool, we had to share! 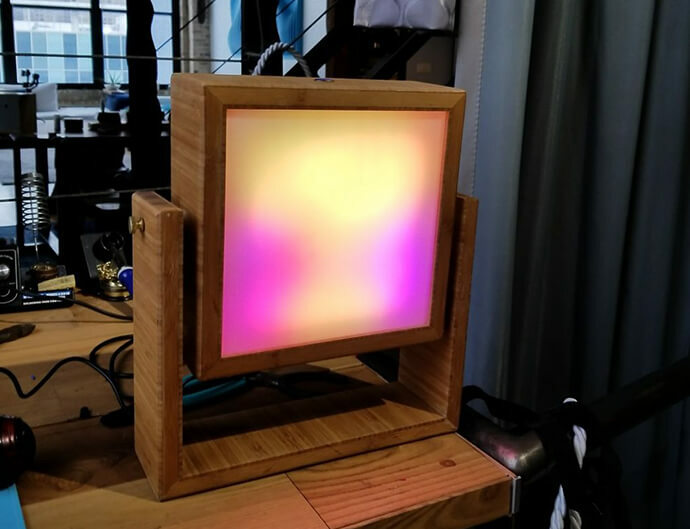 What makes this desk lamp special is a computer-controlled LED matrix that will make the light shift through colourful patterns like living art! It’s a mesmerising addition to any bedroom or home office. Need to get some work done? No worries – at a push of a button, you can switch to a regular white light or a red night light mode. Learn how to make a Living Art LED Desk Lamp. It’s all fun and games until someone loses an eye. 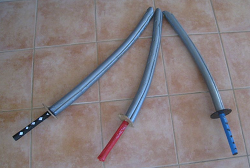 You can reduce the risk of any nasty accidents while playing ninjas and samurai with the kids by making swords out of PVC pipe and foam. Once you’re done, you’re free to decorate the handle as you please. This handy guide can also be adapted to European sword designs if you want to get creative with different shapes! Learn how to make a Foam Katana. Brace yourselves: winter is coming! While you want to keep your devices running as cool as possible, your body is a different story. When the weather cools down and it’s time to rug up, you can do it in style with a giant, chunky blanket that you knitted yourself. 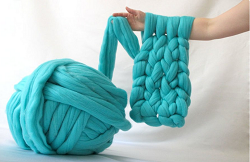 All you need is two arms and a big old ball of lightly felted merino wool or super-thick yarn. Your new levels of comfort will be the envy of everyone else on the couch – or you could be nice and just knit a blanket that’s big enough to share. Learn how to arm-knit a chunky blanket. Nothing makes a better break from staring at a screen than some good old-fashioned miniaturised medieval weaponry. While our efforts to find a mini trebuchet were dashed, this catapult does the trick when you’re looking for a fun project to do with the kids. 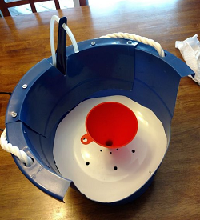 The design even includes a storage compartment for your ammo or if you have a dog, you can fire dog biscuits down the hall and enjoy zero clean-up! 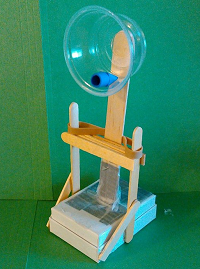 Learn how to make a Desktop Catapult. The world of RC toys has come a long way with camera-mounted drones that operate on all manners of terrain or even fly through the air! 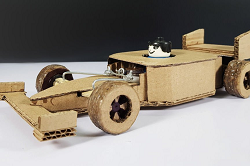 This classic project takes things back to basics with a simple, remote controlled car made out of cardboard. We recommend making two or more so you can build an obstacle course and have races! Learn how to make a Remote Control Car. Do you have a cool techie DIY project on your to-do list or have you given one of these a go? Share them with us in the comments. Fantastic!! Thanks Gina & Team — great idea to add to IInet page. Awesomenss…I can tackle a few of these..and succeed. These are great !! Love the ‘repurposing / recycling’ of things rather than buying expensive n ‘not quite what I wanted’ items !! Thanx so much Gina n team! !